Packed with games industry legends, Boss Key Productions is a new game company hailing from Raleigh, North Carolina. 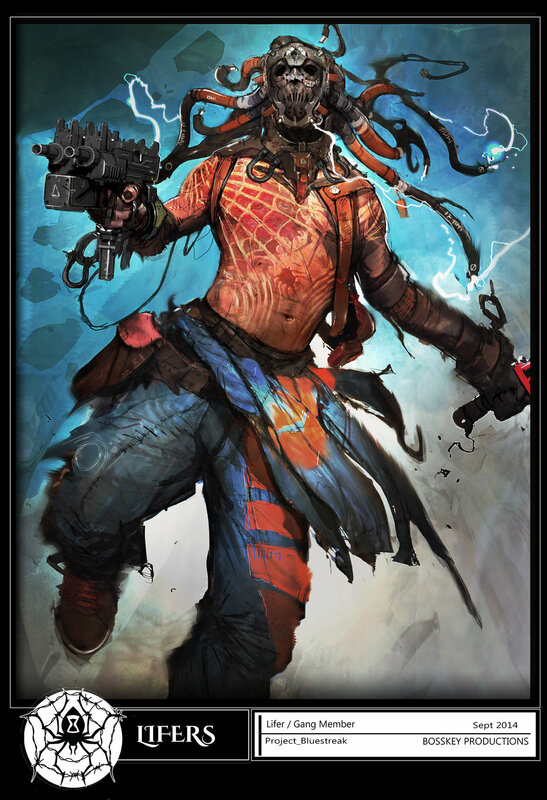 There's a ton of excitement surrounding their first release, LawBreakers, and we’re pleased to say that Concept Art House had a hand in creating some choice character concepts. 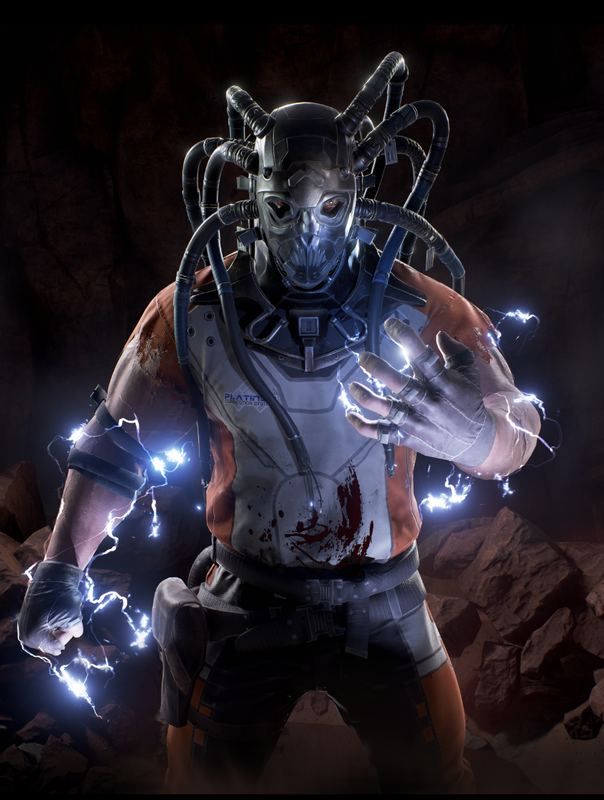 Originally referred to as “The Brute”, Cronos was one of the first characters developed for LawBreakers and was a quasi-catalyst for what the game would eventually become. “He’s a tough guy who wears a mask,” was about all the direction Concept Art House's Art Director, KJ Yu, needed to start the first round of Cronos sketches. With the initial direction selected (Boss Key chose option one) and with more of Cronos’ backstory fleshed out, KJ was able to layer additional details and nuance into the final deliverable. The Boss Key art team filled in the final details, added color and injected Concept Art House’s work with LawBreakers' signature attitude. Jay Hawkins' full-color Cronos painting and finalized “card” are truly stunning. Boss Key relied on Concept Art House when they needed to ramp up production quickly. By working together and remaining flexible, our combined teams delivered a dynamic character that's sure to excite players for years to come. Interested in knowing more about Boss Key's artistic process? Check out the vide below; cued up to where Jay Hawkins talks about Cronos. KJ’s sketches are even up on his computer screen during the interview.